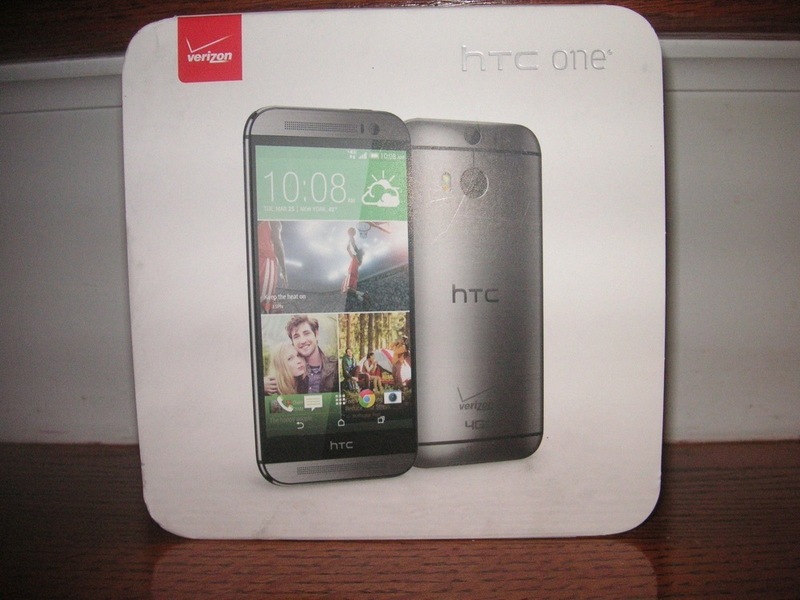 What’s that, you thought the “All New HTC One” leak situation couldn’t get any worse (for HTC) or more ridiculous? Silly, you should know better. Today, it got substantially more entertaining, if anything, as an apparent Verizon model was listed and sold on eBay for $499. We aren’t sure if the seller didn’t realize what they had or if they were trying to play it extra sneaky. But for full retail on an unreleased flagship phone that we can’t stop talking about, $500 seems like the steal of the century. The phone will more than likely be listed at $600 when it’s released. If that wasn’t enough, the packaging has been outed as well, along with a spec list that had avoided us until now. According to the back of the Verizon box, we are looking at a device with a Qualcomm Snapdragon 801 processor clocked at 2.3GHz, 32GB of on-board storage, microSD slot with expansion up to 128GB, 2GB DDR2 RAM, 5-inch FHD (1920×1080) display, HTC BoomSound, rear Duo Camera with UltraPixel, 5MP front camera, 4G LTE, nanoSIM slot, and Android with HTC Sense. Sounds like a 2014 flagship to me. The cameras specs in particular are listed as Duo Camera with UltraPixel on the back, BSI sensor, pixel size of 2.0um, F2.0 / 28mm lens, HTC ImageChip 2 with HDR video. 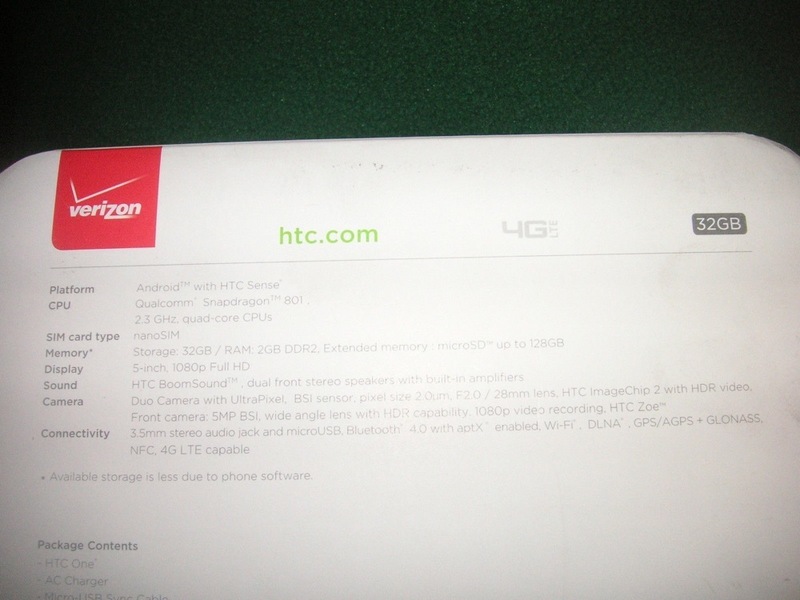 The front camera is a 5MP BSI sensor, wide angle lens with HDR, 1080p video recording, and HTC Zoe.